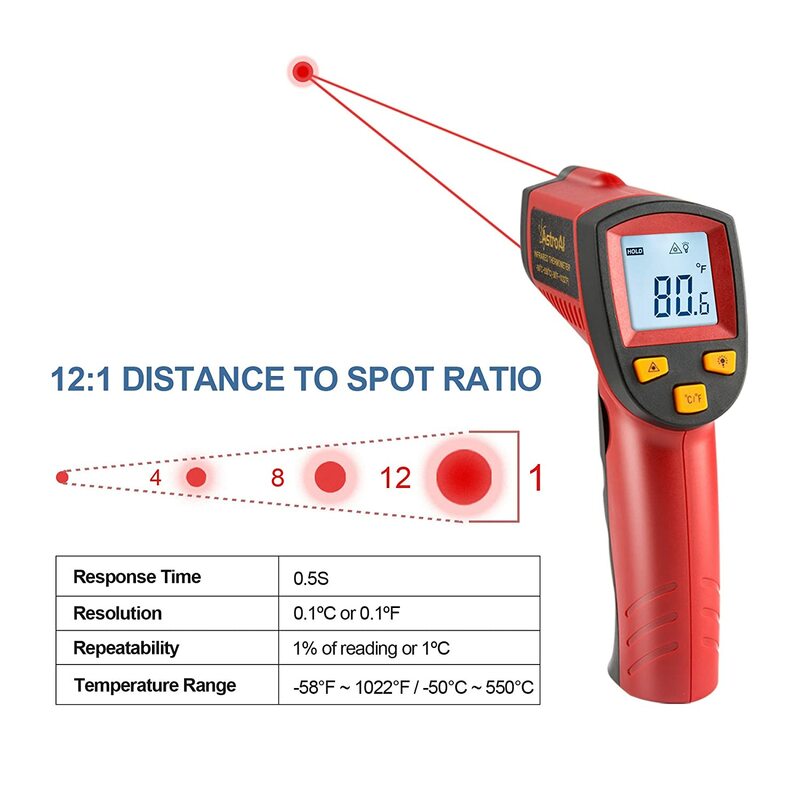 A built in Laser gives you the precision to spot on the exact space you want to measure. 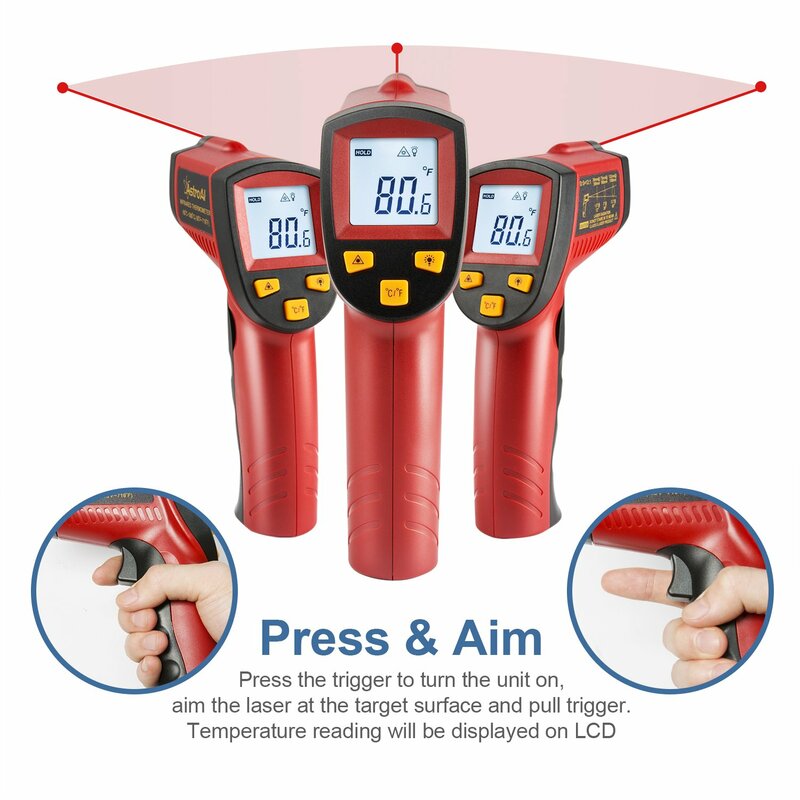 White backlight is brighter than other colors; Large Backlit LCD display for visibility in dimly light areas. 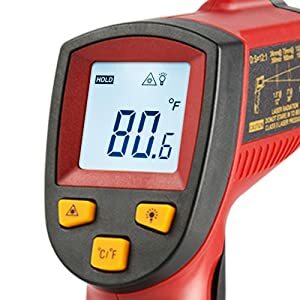 Measures in Fahrenheit or Celsius: -58℉～1022℉/-50℃～550℃. 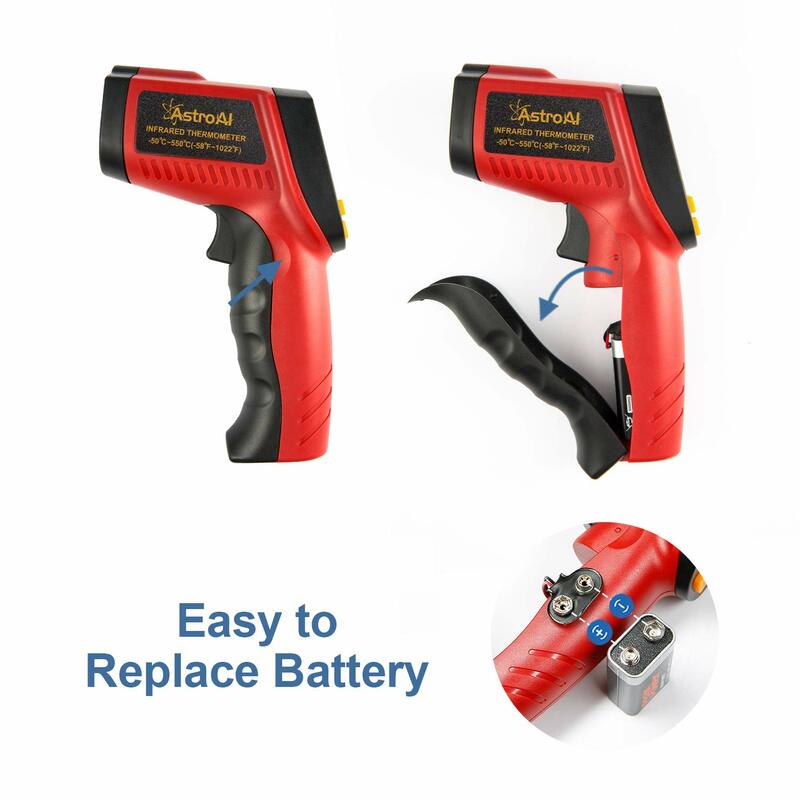 Automatically shut off in 7 seconds to save the power and features a low battery indicator so you never accidentally run out of juice. 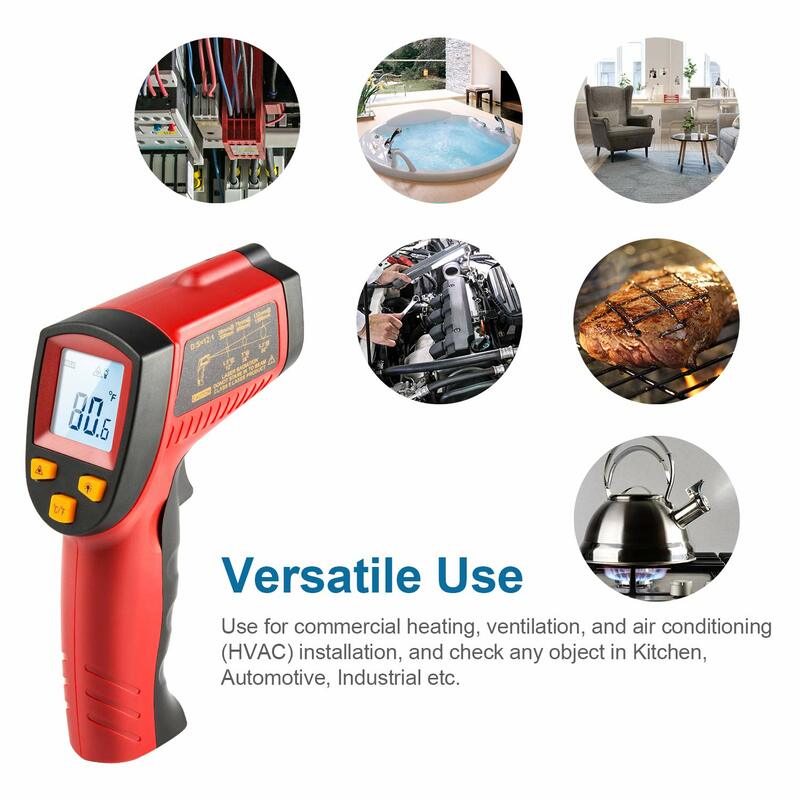 Use for commercial heating, ventilation, automotive motor and air conditioning (HVAC) installation etc. 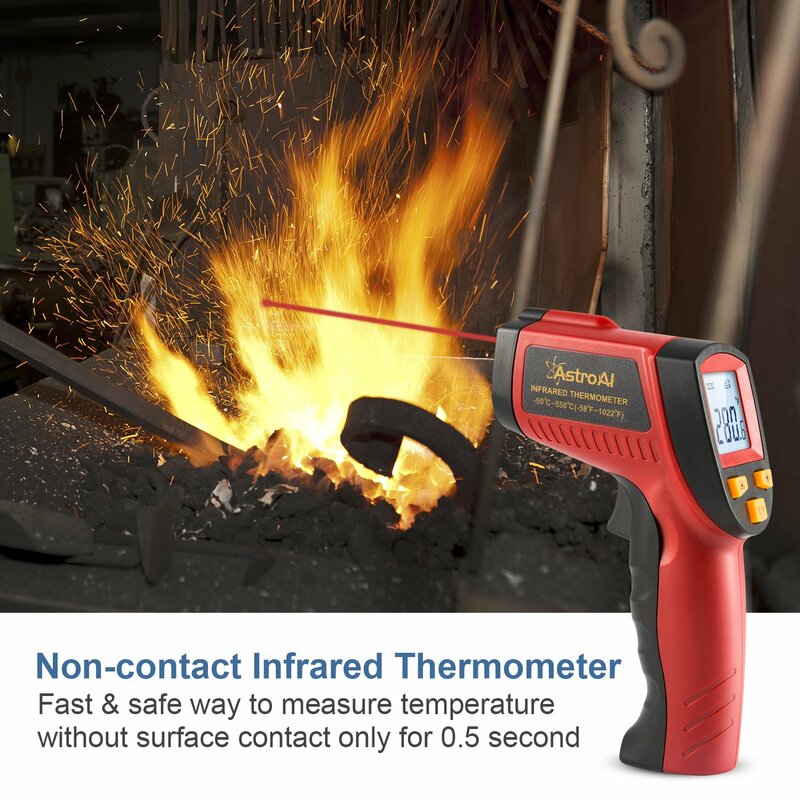 Fast & safe way to measure temperature without surface contact only for 0.5 second. 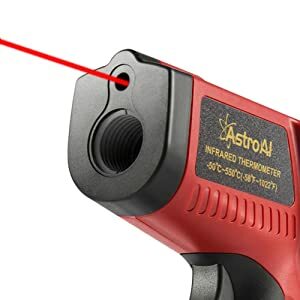 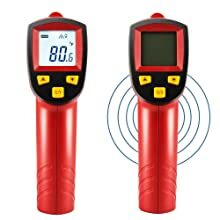 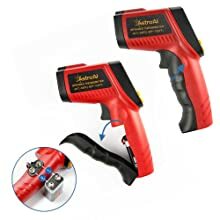 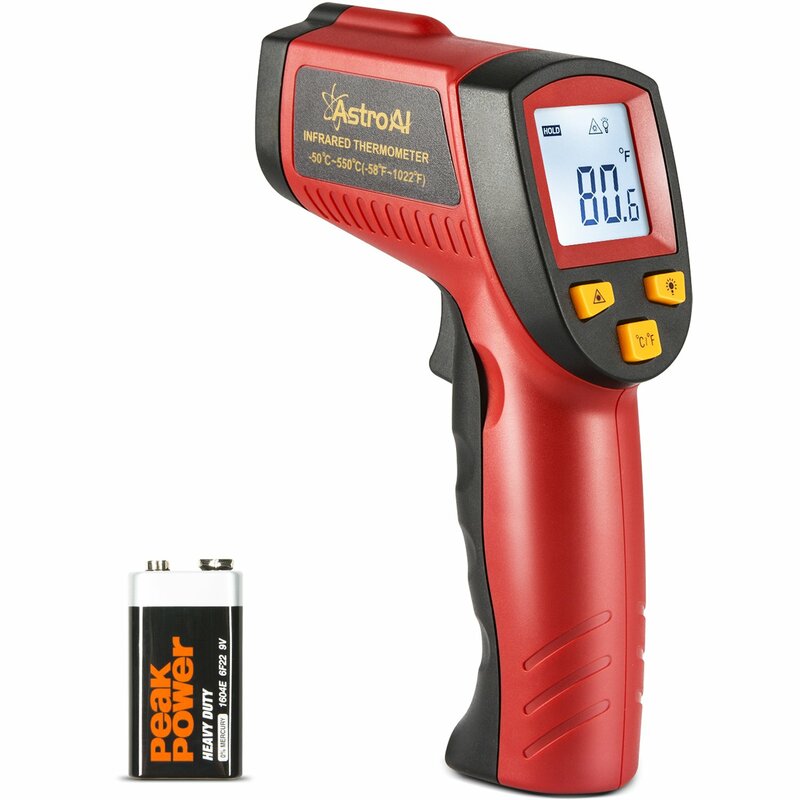 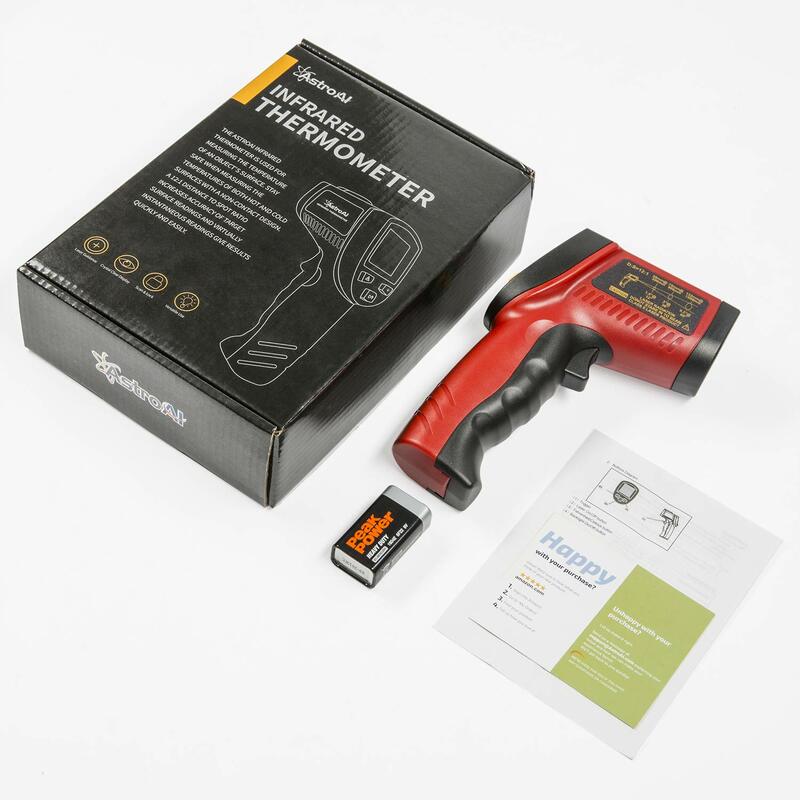 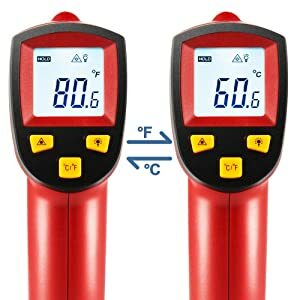 The AstroAI Infrared Thermometer Gun quickly reads and displays temperature results thanks to advanced technologies that also allow you to take these temperatures from a safe distance. 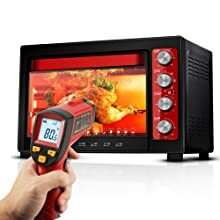 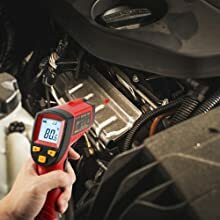 Professionals use Infrared Thermometer guns for everything from cooking, baking, and barbecuing, to checking engine and tire temperatures in Auto Racing. 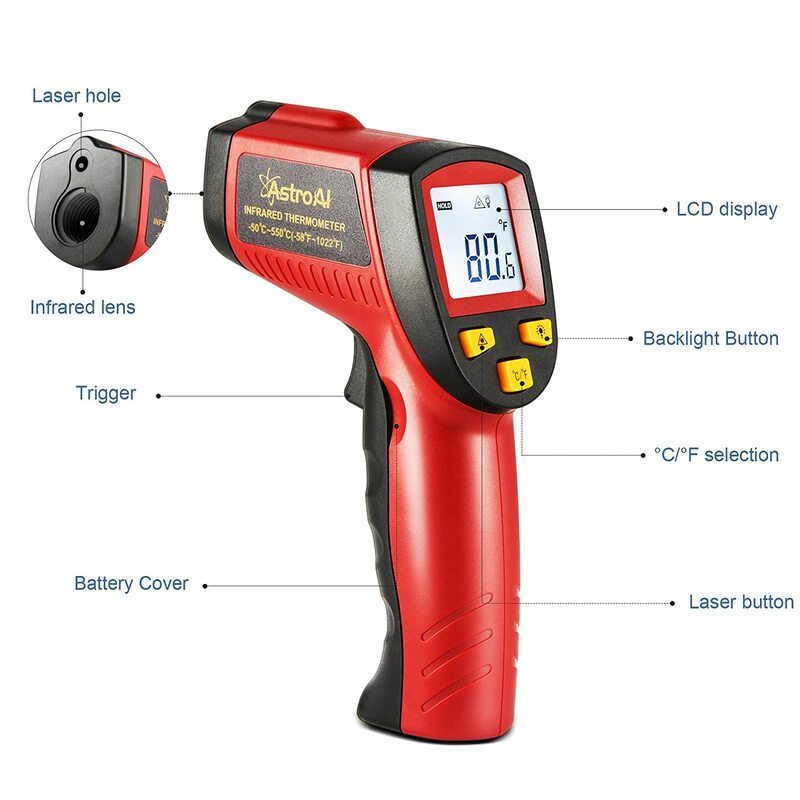 Whether you need to check the temperature of a freezer, or how hot the asphalt is on a racetrack, the AstroAI IR Thermometer will do the job! 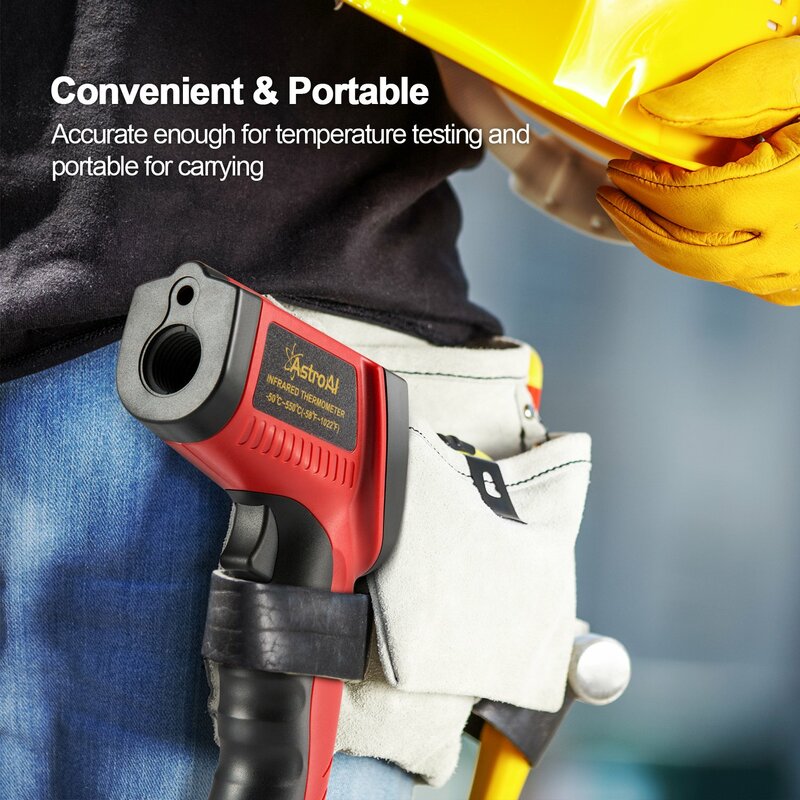 Features like Data Hold, Backlit Screen, and Integrated Laser Pointer make this device so much easier to use, even at long distances or tight work spaces.